Available in min weight 1.9kg, 2.1kg, 2.3kg & 2.5kg. The unique Gressingham Duck was created by crossing the Wild Mallard with the Pekin. 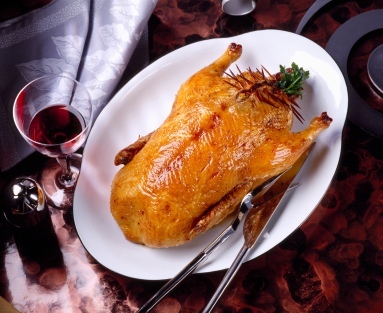 The result is a bird that is renowned for its high proportion of wonderfully succulent and flavoursome meat with approximately 20% more breast meat than other ducks of the same weight. All Gressingham Ducks are carefully bred, hatched, reared and processed by Gressingham Foods in a small area of East Anglia. They employ an integrated farming system which guarantees complete traceability and feed a natural diet with no growth enhancers or antibiotics. Such high quality rearing pays dividends in terms of both flavour and nutritional value. 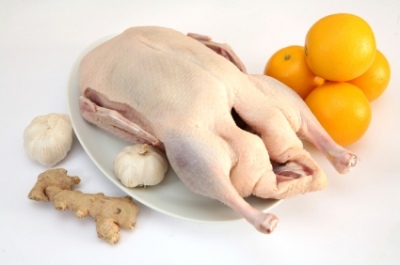 In addition to a higher proportion of breast meat, Gressingham Ducks are renowned for their rich gamey flavour, lower fat content and thin, crispy skin. It’s not surprising that they have long been the first choice for top chefs, hotels and restaurants throughout the UK.